At Walton & Maready, we make getting braces affordable, easy, and educational. A visit to an orthodontist in Raleigh can cause anxiety for teens and pre-teens. 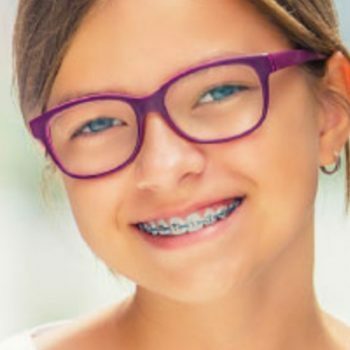 Not knowing what to expect and fear about the effects of braces on their appearance is one of the most common challenges parents face when it comes to braces for teens and pre-teens. But don’t worry! At Walton & Maready we make getting braces engaging and relevant to their lifestyle. Your teen will not only be involved in selecting a treatment plan that is right for their busy lifestyle but also gain information and knowledge about their oral health. After more than 30 years of experience, we’ve discovered that inviting your pre-teen or teen to be involved in their orthodontic treatment plan is essential for lasting and predictable results. Braces aren’t nearly as scary as your pre-teen or teen may think. 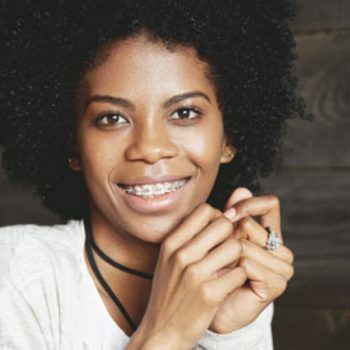 In fact, braces today come in a variety of styles, materials, and colors, making life with braces much easier, more comfortable, and even more stylish than in the past. The amount of treatment each individual patient needs depends on the specifics of their orthodontic issues. The arrangement of your teen’s teeth are as unique as their thumbprint. Treatment times will vary according to what is needed to give them a healthy, confident smile. Every patient reacts to orthodontic treatment differently. The rate of tooth movement varies from patient to patient. While it may take one patient 12 months or less to complete their treatment, others may take longer. Your pre-teen or teen’s willingness to wear the prescribed appliances will play a major role in the length of time it takes to complete treatment. Our involved approach has your child engaged throughout their treatment process. Their increased knowledge about oral health encourages your teen’s consistency. Orthodontic treatment in Raleigh is a big part of life for many pre-teens and teens. Today’s braces make it easy to look good and feel confident. In our welcoming and relaxing office, your pre-teen or teen will experience their own moment of zen and feel in control of their oral health. Giving pre-teens and teens a voice in their orthodontic treatment plan makes the process more relaxed and engaging. Schedule a free consultation today to learn more about the orthodontic treatment plans that are right for your pre-teen or teen.